Delivering dignity to some amazing people. 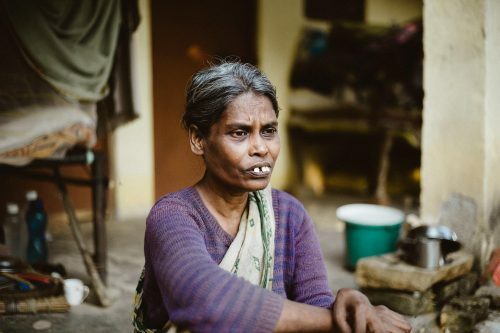 According to the World Health Organization leprosy currently affects over a quarter of a million people throughout the world and over 70% of these cases are in India. There is a huge reduction in numbers thanks to treatments that are now available. Many NGOs are working steadily in India to totally eradicate the disease –a dream which is fast becoming a reality. Leprosy is a bacterial disease that can lead to terrible deformities in patients. The disease itself is one of the least infectious diseases mainly because nearly all of the population have natural immunity against it. Nevertheless, stigma against the disease due to its disfiguring effects causes its victims to be isolated and shunned. 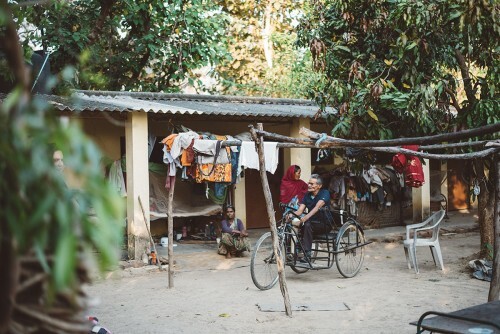 Patients are often cast out from their communities and forced to live in separate colonies. The disease is now readily treatable and if done in the early stages of infection, disability and disfigurement can be avoided. For more than 30 years our organization has been providing shelter to people suffering from leprosy. Currently in our leper colony we have seven families with at least one member who has the disease. 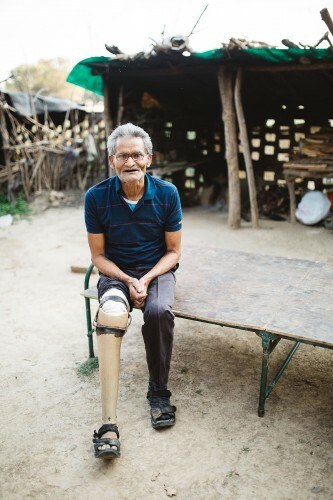 Each patient has been treated, and though their leprosy is no longer infectious, their disabilities are permanent. As a result, they are still cast out from their communities and society. We provide these people with a home, rations, security, electricity and running water. Two years ago we completed construction of a brand new facility to provide them with a comfortable and clean place to call home. Much of our farm produce is given to these people to allow them to live lives of dignity and security. Even with our efforts, many still head into the local markets each day to beg from local businesses—as often there is very little else that they are able to do with their time. We work hard to help with their individual needs by addressing their physical, mental, social and spiritual needs. We want them to feel their value as human beings, to know what it is to live a dignified life.